The press got a sneak peek at what will be unwrapped in the coming week. We battled through the crowd to find the most interesting gadgets at the pre-show, and here’s what we’ve come up with. Catterpillar Inc (CAT) isn’t exactly renowned for making phones, but the company just dropped something right out of 1990 — and that’s not necessarily a bad thing. 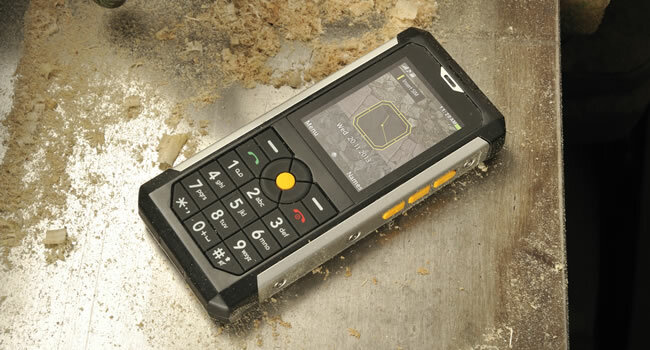 The B100 is a feature phone that can be dropped from a height of 1.8 meters onto solid concrete, submerged in water for half an hour and can even withstand temperatures from -25 to 55 degrees celsius. Unlike its forerunner the B15, there’s no touchscreen to speak of — it’s a big button affair, perfect for those wearing gloves while on the job. 2.2-inch QVGA display, noise cancelling microphone, headphone jack, large speaker, long battery life (1150mAh), three-megapixel camera with flash, check. It’s coming to Germany and other parts of Europe this year, and will be available in other markets in the first half of 2014. Parrot is world renowned for bringing us the AR Drone, but moments ago it unveiled two new toys. 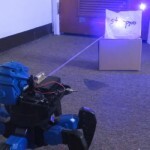 One is called the MiniDrone (pictured on the left), the other, Jumping Sumo. 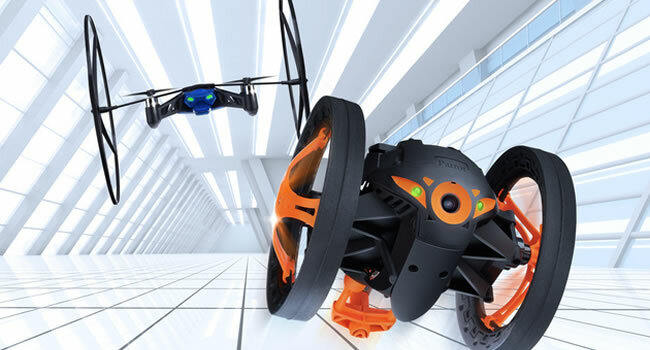 The MiniDrone is a smaller, cheaper version of Parrot’s popular AR Drone, with the addition of two wheels. The Jumping Sumo also has two wheels, but instead of flying, its claim to fame is the ability to spin in crazy circles and jump — sort of like that SandFlea by Boston Dynamics. Parrot’s Drone line however, is more toy-like when you consider DJI’s newly unveiled S1000 octocopter. 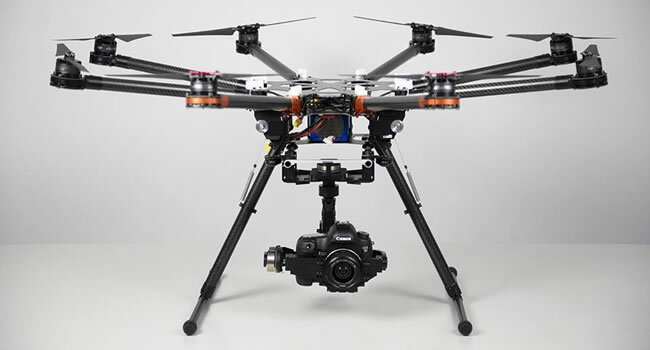 The follow up to DJI’s S800 can hold a Canon 5D for up to 15 minutes while airborne. We mentioned toys. 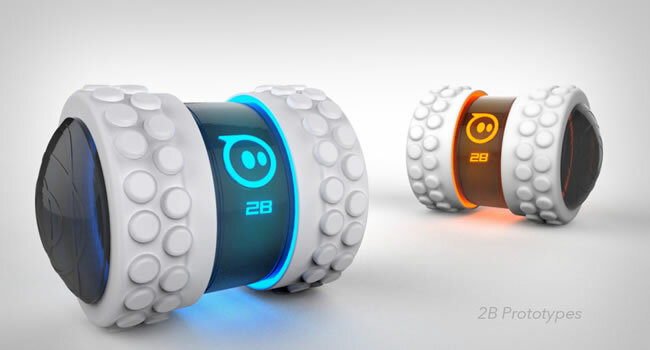 Orbotix’s Sphero 2B looks set to be the birthday gift of choice for geeky adults or kids this year. Sphero has a new form factor and comes with interchangeable parts like tires and hubcaps for different terrain, and will launch with accessories for advanced gameplay. 2B promises to be “unreasonably fast and maneuverable.” With only two points of contact, 2B can turn on a dime, launch off steep inclines, and tumble unlike anything you’ve seen — looking at Parrot’s MiniDrone, we can see a trend here. We’re all about touchscreens these days, so what’s this TrewGrip thing people seem to making a fuss about? 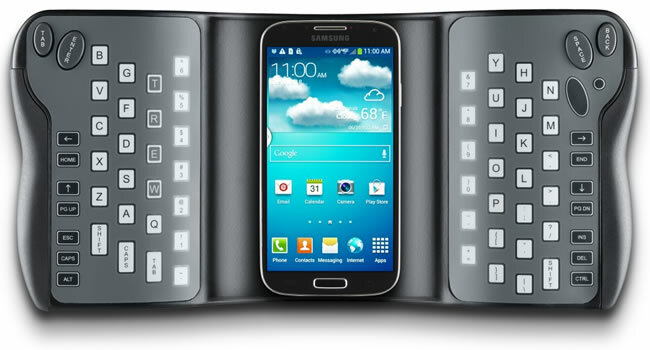 The company says that while touch devices enable us to consume information easily, physical QWERTY devices are still the way to go for input. With 1TB of wireless storage, the LaCie Fuel lets you store movies, photos, songs, and documents, and access them on your iPad, iPhone, or Mac for up to 10 hours on a single charge. The device creates its own Wi–Fi network and allows up to five devices to access its storage at the same time — it can stream an HD movie to up to 3 devices simultaneously. It also has a USB 3.0 connection that allows for fast data transfers between a Mac (it shows up as a normal external drive) and the Lacie Fuel. 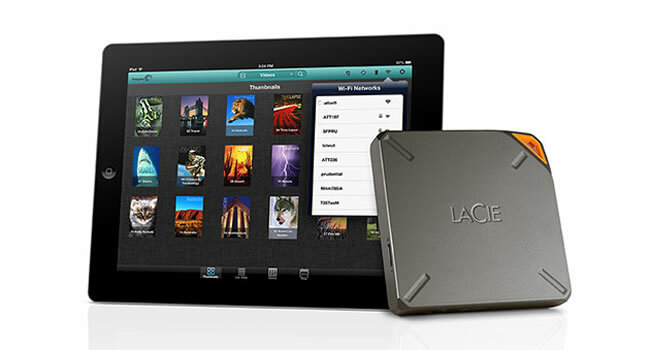 Since the LaCie Fuel doesn’t need internet to work, it can connect to nearby Wi–Fi hotspots for DropBox integration. As a bonus it can also serve as a hotspot for up to four devices. By the way, Airplay integration is also present. Neat. 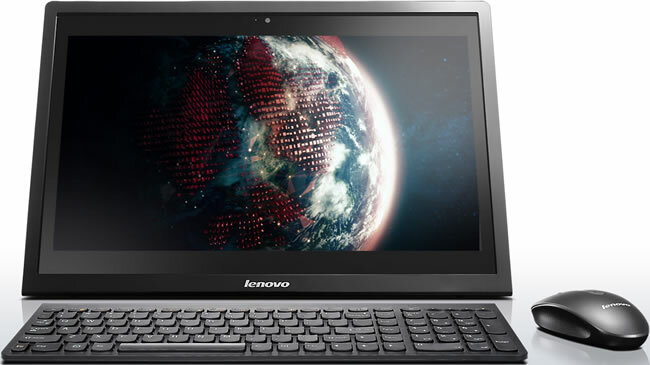 In terms of large hardware manufacturers, it was an all-Lenovo affair. 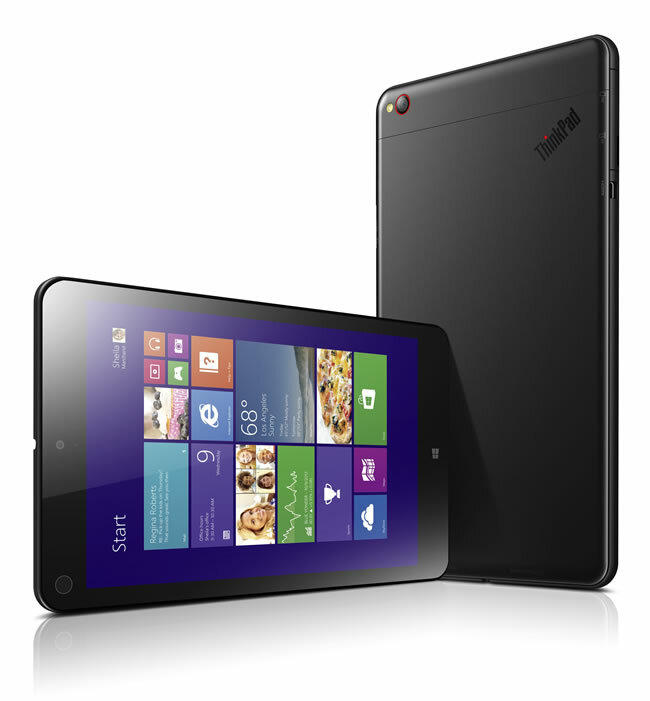 On the tablet front, Lenovo unveiled its ThinkPad 8, a Windows alternative to the iPad mini. It runs on the Intel’s Bay Trail Quad Core processor and can handle up to 128GB of storage. There’s an 8-megapixel camera onboard, as well as an 8.3-inch 1920×1200 display. For connectivity, the ThinkPad add has wireless Miracast (Wi-Fi Direct), microHDMI and microUSB 3.0 support. It’s aimed at those who want a more portable device without sacrificing the ability to connect to a keyboard and display for a full PC experience. It can be used in “Tablet Mode” on the go, but it can also be connected to an optional keyboard base, dock or monitor for “Desktop Mode”. Finally, flip its optional Quickshot Cover over the tablet to convert into “Tent Mode”. It starts a US$399 and will be available late January. 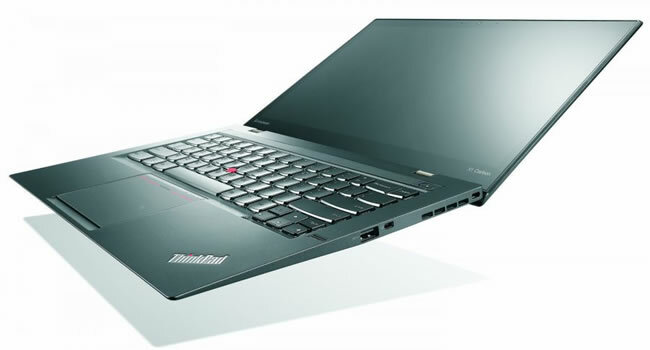 Lenovo then took the wraps off its ThinkPad X1 Carbon. A 14-inch Ultrabook which it’s calling the “lightest 14-inch Ultrabook in the world.” It’s 0.68 inches and apparently still manages battery life of roughly 9 hours. It has a 14-inch, 2560 x 1440 IPS display, Haswell Core i5 or i7 processor, HD4400 integrated graphics, 4GB of RAM, and a 128GB SSD, with you can swap out for a maximum of 512GB. In terms of ports, the X1 has a full-size HDMI as well as two USB 3.0 ports, a mini DisplayPort, and OneLink docking and charging connector. You can pick one up for around US$1 299, starting today. 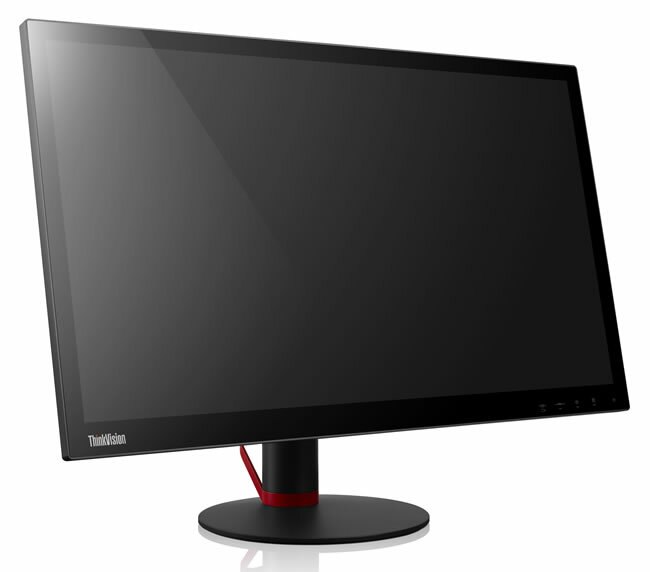 Lenovo showed off its 28-inch UHD resolution (3840×2160) ThinkVision Pro2840m display which will be available from April 2014, starting at a mere US$799. We’re going to be seeing an avalanche of 4K displays at CES 2014, and Lenovo has said the bar pretty high for the budget range. What do you get when you sell an Android tablet with a keyboard and mouse? You get to call it an “easy-to-use Android home computer.” Lenovo’s N308 is based on Nvidia’s new (not yet announced) quad-core Tegra CPU and runs on Android Jelly Bean 4.2.2. It has a 19.5-inch touchscreen with a 1600 x 900 resolution, 2GB of DDR3/1600 memory, a dual-band 802.11b/g/n Wi-Fi adapter, Bluetooth 4.0, ethernet port, two USB 2.0 ports, a 6-in-1 card reader, as well as a 500GB non-SSD hard drive. Stereo speakers, mic and headphone jacks, and a 720p webcam are also onboard. Prices for the N308 will start at $450 when the machine ships in February. Finally PrioVR is all about making your next first person shooter experience as gratifying as possible. Currently in prototype stage, the company is set to launch a Kickstarter project to cover the cost of building the half and full body prototypes.